Only the best of Koh Phi Phi ! 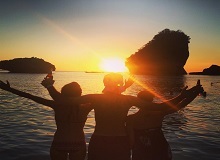 Snorkeling + Sunset + Plankton = 3in1 ! 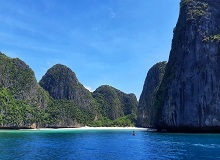 A longtail boat trip to Phi Phi Ley including a stop at the entrance of an unspoiled, empty and beautiful Maya Bay, snorkeling in magical Pi-Leh Lagoon, Monkey Beach, sunset and night swimming with glowing plankton ! The only longtail boat trip where you can enjoy both Phi Phi Ley and Bamboo Island ! Book online now, the seats are limited ! This trip also includes a stop at the entrance of an unspoiled, empty and beautiful Maya Bay, the sunset and the famous night swimming with glowing plankton ! This is our most complete and all inclusive trip ! Enjoy a full day trip on a speedboat and discover all of the 5 islands of Koh Phi Phi archipelago and some hidden spots which are not included in other trips ! With a speedboat spend less travel time and more time on each sight ! Book online now, the seats are limited ! 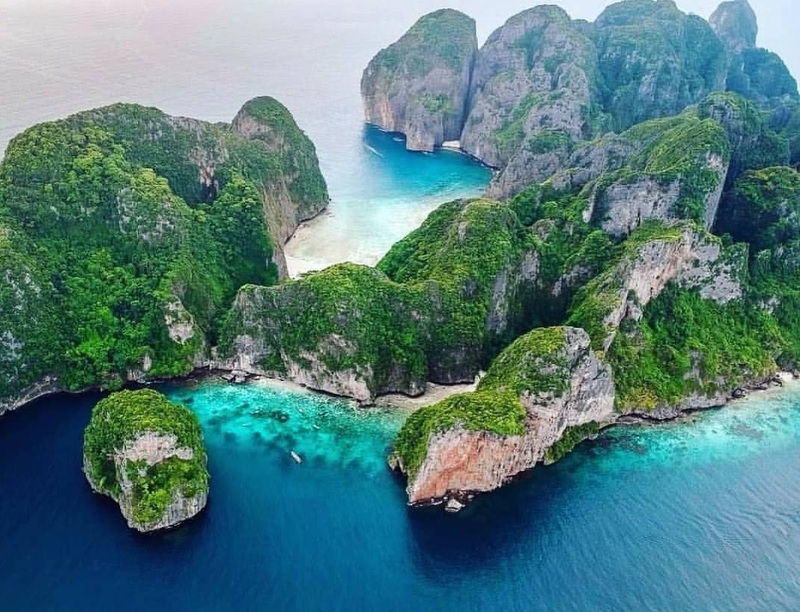 Beat the crowds with this early morning tour on a longtail : Discover the hidden gems of Phi Phi Ley National Park : an empty and unspoiled Maya Bay from outside and the wonderful Pi-Leh Lagoon and its crystal clear water before everyone else ! We have only 15 limited seats per day ! 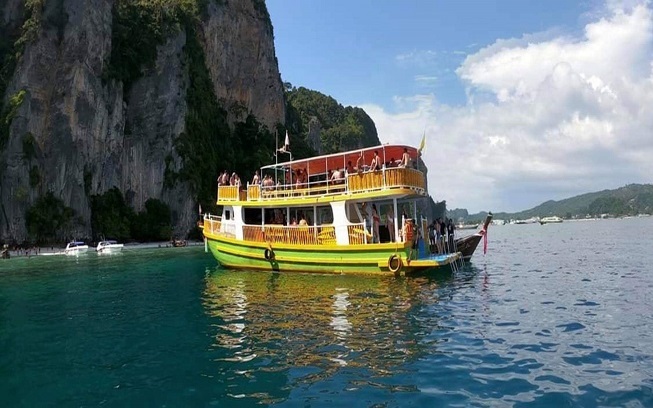 Discover the highlights of Phi Phi Islands on our massive double deck boat : bar, toilets, music... Will you dare to jump from the rooftop of our boat ? A friendly all inclusive tour with dinner, photo service, paddle and kayak ! Limited availability, book and secure your spots online now ! Schedule your own trip ! It will be only you on the boat with our captain ! With a private boat make the schedule of your choice and contact us for a personalized itinerary, perfectly fitted to your expectations ! 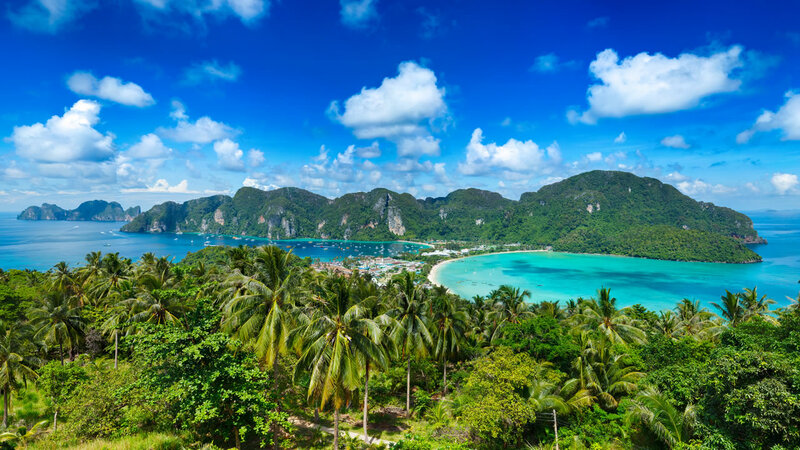 Our local guide will take you off the beaten track to all of the 4 amazing Phi Phi viewpoints and a secret bay where you will be able to see a perfect sunset. On the way back, enjoy a nice dinner in a famous Phi Phi Restaurant ! Please double check your email during the booking process because we will send your confirmation voucher to this email. Thank you. 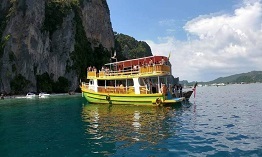 All our trips start from Koh Phi Phi. The check-in is 30min before the trip starts. To be on time for the tour check-in please have a look at our TRANSPORTATION PAGE to see all our travel packages (ferry, bus, taxi, hotel pick-up...) to come to Phi Phi Islands from Phuket, Krabi, Koh Lanta or anywhere in Thailand or even South-East Asia ! The times and order of activities are approximate and for guideline only. Depending of the weather, the tides conditions and the National Park regulations, the program can be modified. Koh Phi Phi is a small island, there is no cars or bikes so there is no pick-up organized. All our offices are located in Tonsai Village, close to the pier and accessible by short foot walk or by taxi boat. Thank you. Refund Policy : Our refund policy is a 100% refund if cancelled up until 1 month of the date you are booked to come and 50% if you cancelled between 48h and 1 month before the date of your trip. Cancellation of your booking less than 48 hours before or no show is no refund. In the unlikely event that we need to cancel due to bad weather we will attempt to reschedule or offer you a full refund. Only trip on Koh Phi Phi where you can enjoy Maya Bay for 3 hours ! Book online now, the seats are limited ! 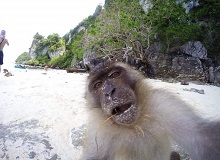 Monkey Beach : Discover the wild monkeys of Koh Phi Phi ! Maya Bay : Relaxing for 3 hours (The Beach). Take a sun bath and swimm in one of the most beautiful beach in Thailand. You will stay enough longer to be one of the last boats to leave the bay and avoid the crowd. Sunset : Time to see the sunset on the way to Tonsai Bay ! Be lucky and see the ocean swallows the sun with wonderful pink and violet skies ! Swim with the glowing plankton by night in Tonsai Bay ! Only longtail boat trip on Koh Phi Phi where you can enjoy Phi Phi Ley then Bamboo Island crystal clear waters ! 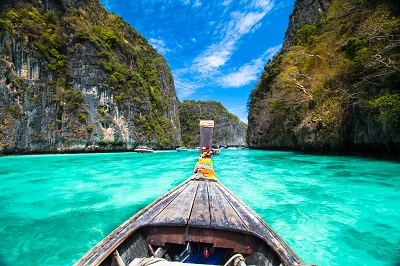 You will visit the full Phi Phi Archipelago in one day ! Book online now, the seats are limited ! 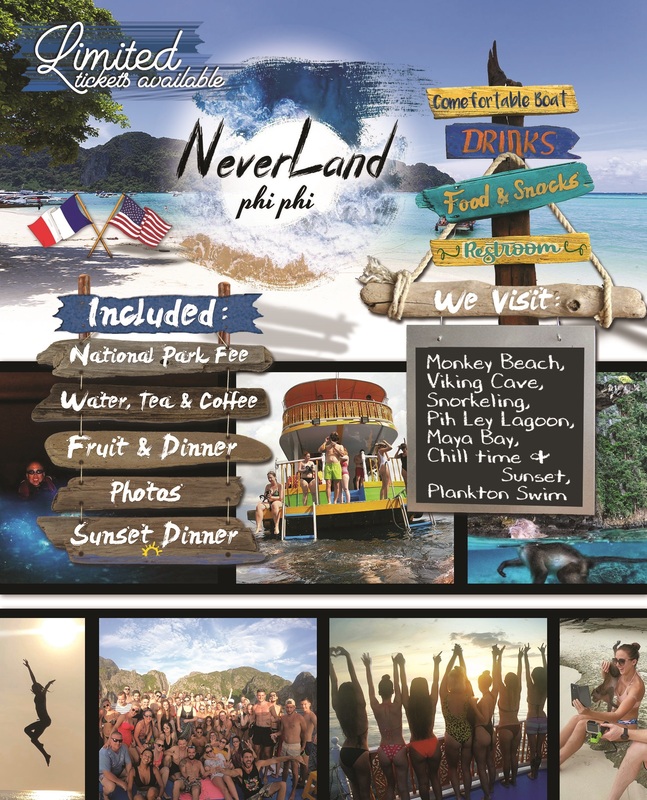 Pi-Leh Lagoon : Sight seeing and snorkeling : discover one of the most clearest water in Phi Phi inside this magical lagoon ! Bamboo Island : Relaxing for 1 hour. Take a sun bath and swimm in one of the most beautiful beach in Thailand. 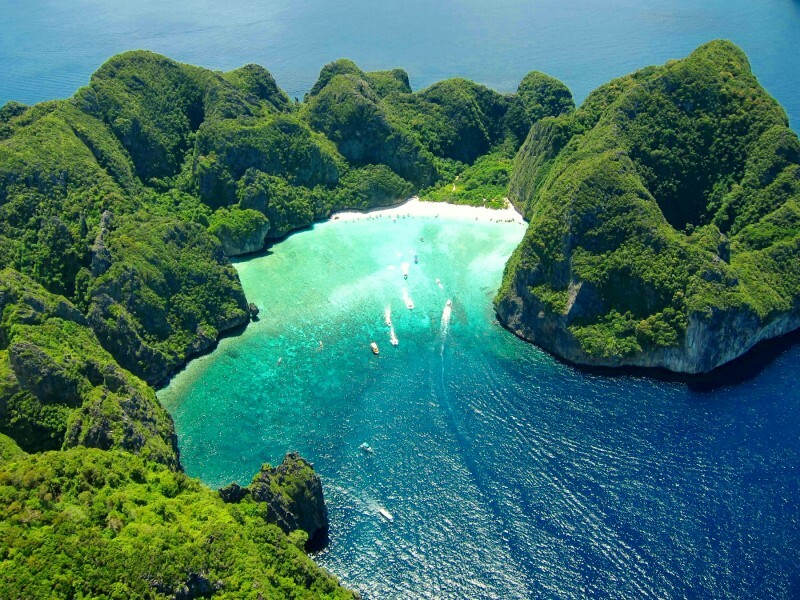 Nui Bay : Discover this secluded gem of Phi Phi Islands ! 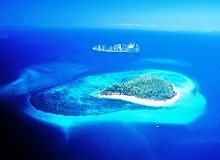 ALL INCLUSIVE - You don't have to pay anymore National Park Fee at Phi Phi Ley or Bamboo Island !!! This is our most complete and all inclusive trip ! 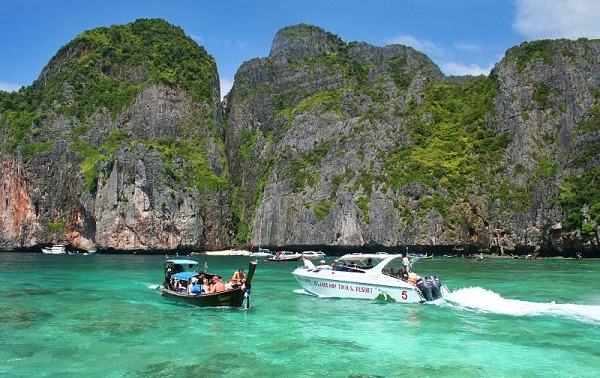 Enjoy a full day trip on a speedboat and discover all of the 5 islands of Koh Phi Phi archipelago and some hidden spots which are not included in other trips such as Nui Bay or Wang Long Bay ! With a speedboat spend less travel time and more time on each sight ! Book online now, the seats are limited ! 10h30 : Meet at our office. Chose and try your snorkeling equipment. 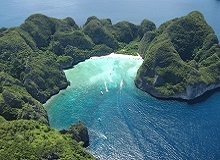 15h30 : Nui Bay and Wang Long Bay : Discover these 2 magnificent bays which are include only in limited trips in Phi Phi. 16h30 : Phi Phi Ley : Stop in front of Viking Cave (listen the story of our guide), then the wonderful Pi-Leh Lagoon and Loh Samah for a last snorkeling stop. 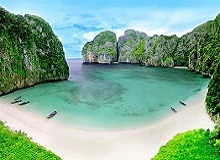 17h30 : MAYA BAY : Relax on MAYA BAY outside rush hour times (The Beach), chill on this mythical beach or discover the backside jungle. 19h00 : Swim with the glowing plankton by night in Tonsai Bay ! 16h00 : Nui Bay and Wang Long Bay : Discover these 2 magnificent bays which are include only in limited trips in Phi Phi. 17h00 : Phi Phi Ley : Stop in front of Viking Cave (listen the story of our guide), then the wonderful Pi-Leh Lagoon and Loh Samah for a last snorkeling stop. The early bird catches the worm right ? It's now worldwide known that Phi Phi Ley and its famous Maya Bay and Pi-Leh Lagoon are places to not miss when you are in Thailand. 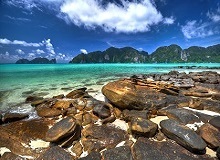 It is also well known that Phi Phi Ley and Maya Bay can be very crowded. With this early morning tour, we allow you to arrive on Phi Phi Ley and Maya Bay before everyone else ! 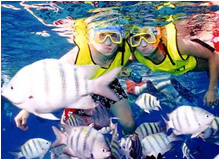 Snorkeling spot or swim in crystal clear water in wonderful Pi-Leh Lagoon, shark point and monkey beach are also included in this exclusive trip. Just join us for this morning trip and BEAT THE CROWDS ! Book your seats and secure your spots online, we have 15 limited seats per day! Discover Pi-Leh Lagoon before the crowds as well : you can snorkeling there or just swimm to enjoy a crystal clear water in this magical lagoon ! Make a last stop at Monkey Beach and discover the wild monkeys of Koh Phi Phi ! Includes: Mask & Snorkel, Chicken/tuna/vegetables sandwitch, Fruits, Water, life jacket. !!! ALL INCLUSIVE !!! Including national park fee and a nice dinner with a famous Phi Phi restaurant at the end of the tour ! Due to recent National Park regulations, MAYA BEACH is closed INDEFINITELY for preservation but MAYA BAY is open : All boats will be able to stop at the entrance of the bay to watch an unspoiled, empty and beautiful Maya Bay, to take a picture or swim and snorkel but nobody will be allowed to go on the beach - All tours are still running. Please find detailed itinerary below. Will you dare to jump in the water from our rooftop ? Please use our paddle boards, water games, kayaks, masks and snorkels when you want ! Refresh yourself at our bar, or order a cocktail to enjoy an amazing sunset on board ! 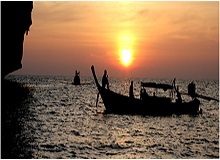 At the end of the trip, join us for a a dinner in a famous Phi Phi restaurant ! During the dinner, you will be able to watch and pick up the pictures and the videos from your trip ! Book and secure your spots online for this very special trip ! Seats are limited ! 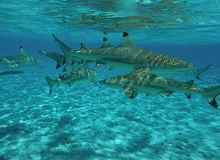 Discover Pi-Leh Lagoon and its wonderful crystal clear water outside rush hours : you can snorkel or just enjoy a swim ! Kayak, Paddle, Water Games, Mask and Snorkel are available upon request ! Stop in front of Viking Cave and listen the story of our guides ! MAYA BAY : End of afternoon and Sunset - Enjoy the view of an empty and unspoiled Maya Beach ! Swim or snorkel at the entrance of this mythic bay. As we arrive later, you will be able to be one of the last to leave this magical bay ! When it's dark enough enjoy a swim with the glowing plankton ! Magical and unforgettable moments ! Dinner : Eat and share the pictures of the day in a famous restaurant of Phi Phi ! Antrek, the only jungle trek in Phi Phi ! 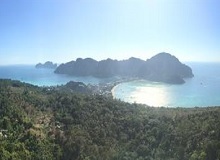 Including national park fee and a nice dinner with cocktail in a famous Phi Phi restaurant at the end of the trek ! The only jungle trek in Phi Phi Islands ! 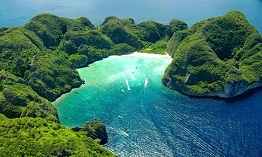 Discover an unseen Phi Phi, we will take you off the beaten track ! 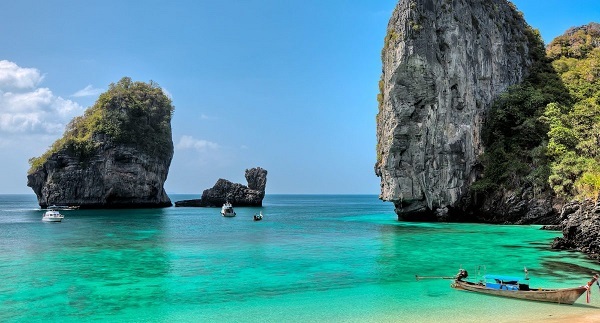 Enjoy a treck around Phi Phi Don island ! 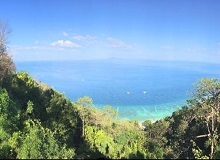 Did you know there was more than one viewpoint on Koh Phi Phi ? This treck will take you to all of 4 viewpoints on Koh Phi Phi, don't forget your camera because the views there are amazing. The real adventure will start when we will head off by night in the jungle to be back on Tonsai village ! Don't worry we are including headlamps and special mosquito repellent for this part ! A nice cocktail and dinner will wait for you at the end of the trek in a famous Phi Phi restaurant. Make your own schedule ! 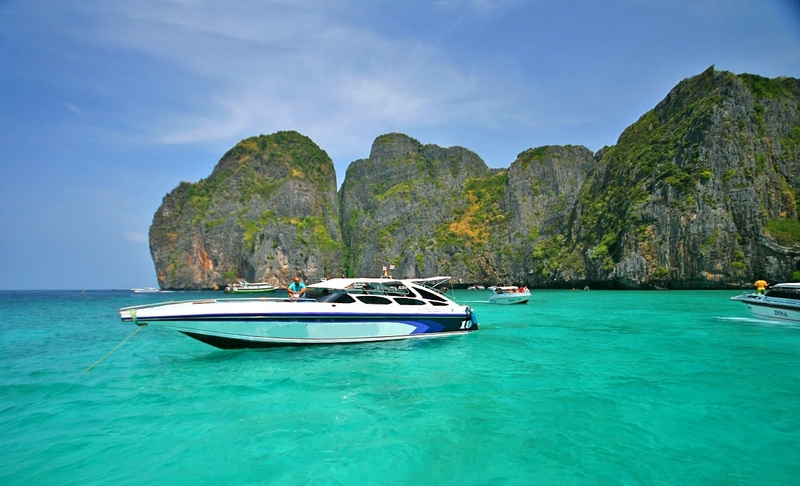 Rent your own private longtail or speedboat and make your trip "à la carte" around the 5 islands of Koh Phi Phi ! We can also organise special event : honeymoon trip, wedding proposals ... We are here to help you to make this event unforgettable ! Contact us for more details and booking ! We will make your itinerary together, perfectly fitted to your expectations !